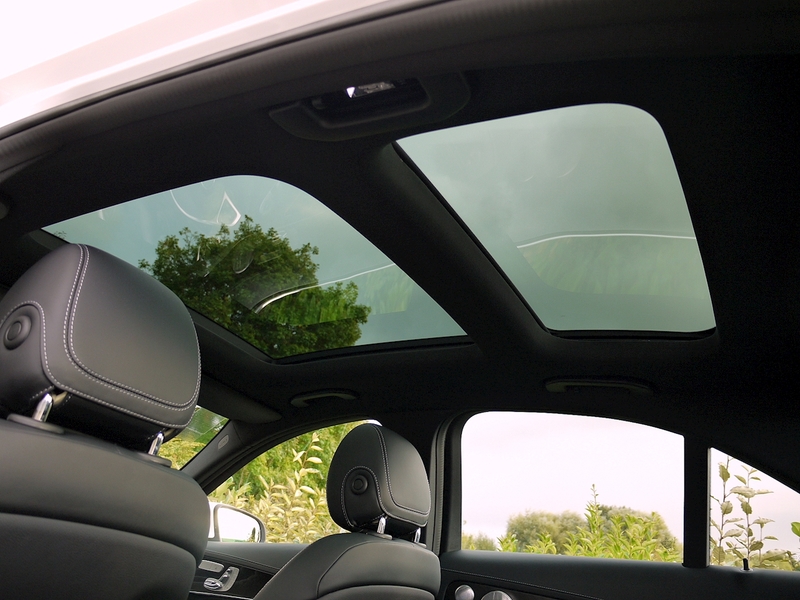 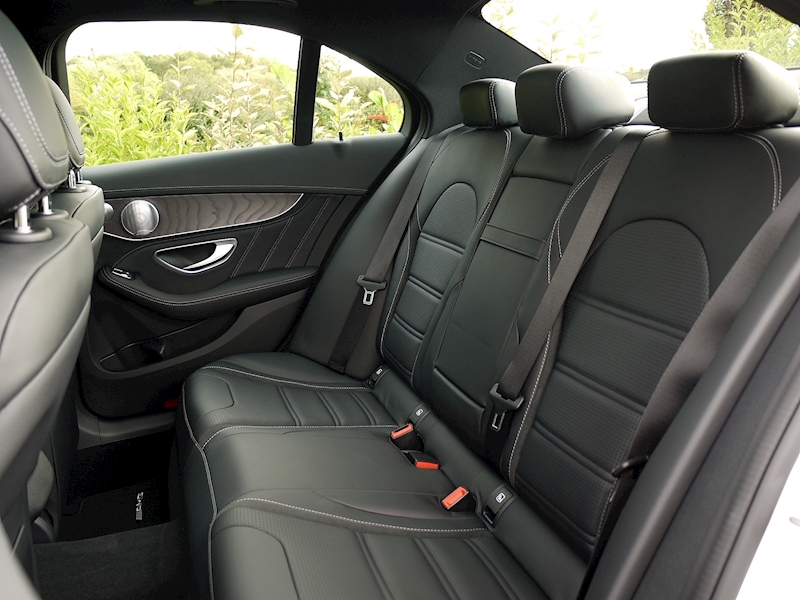 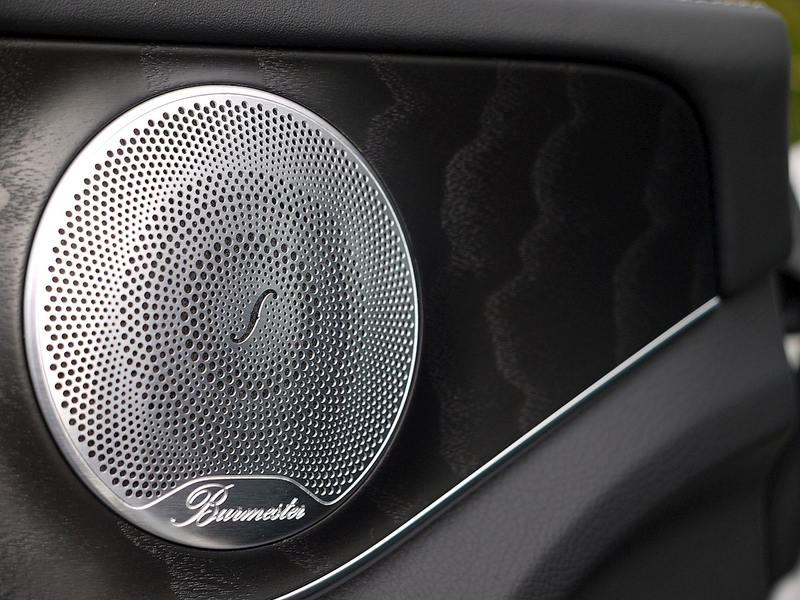 Premium Package - Includes Electric Panoramic Glass Sunroof, Adaptive High Beam Assist Plus, Burmester Surround Sound System, LED Intelligent Light System - High Performance Headlamps, Keyless-GO Comfort Package (including remote boot closing) and Dashboard and Beltlines in Alcantara (ARTICO) Man-Made Leather in Black Nappa Look. 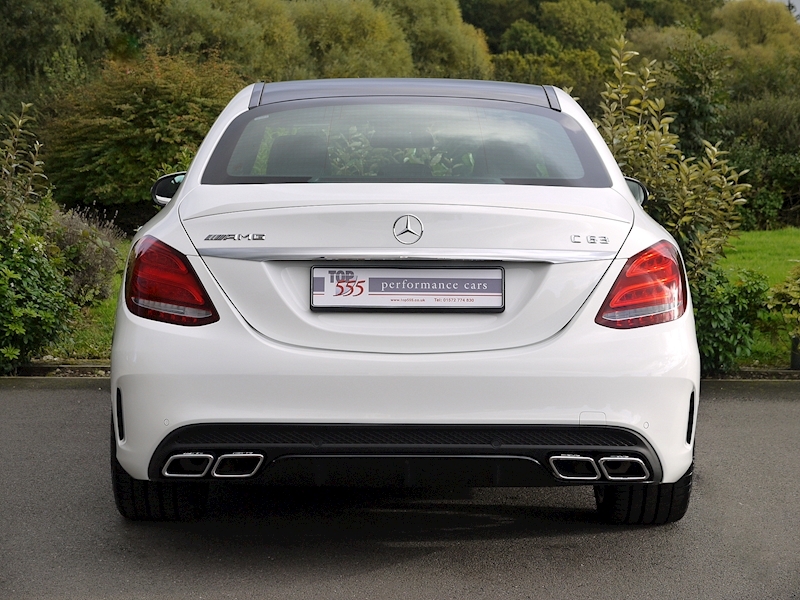 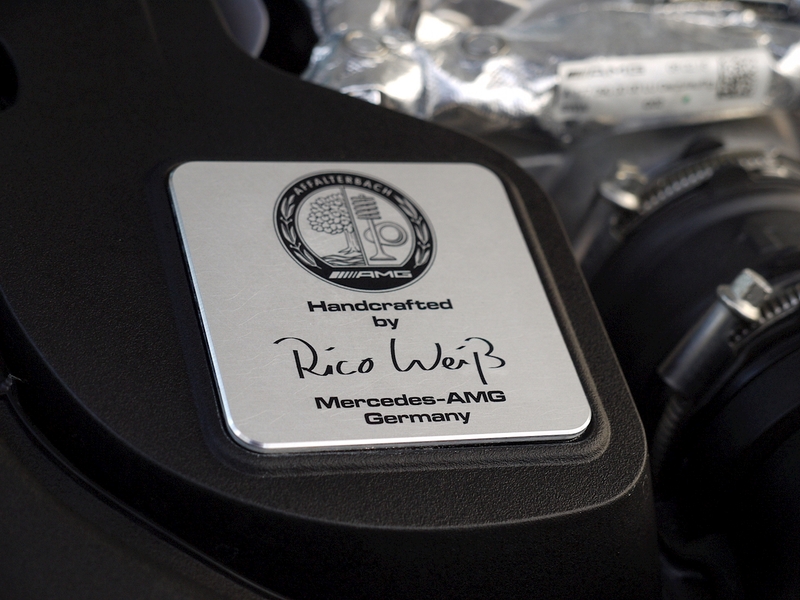 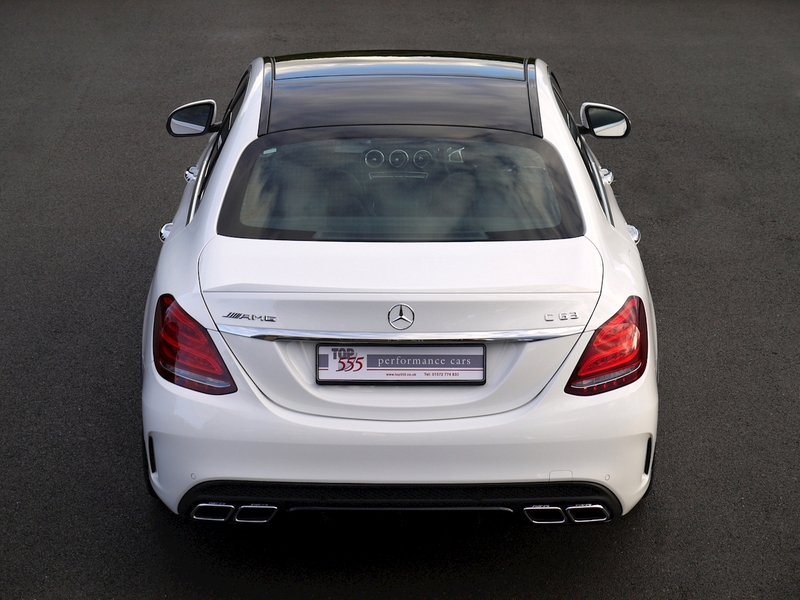 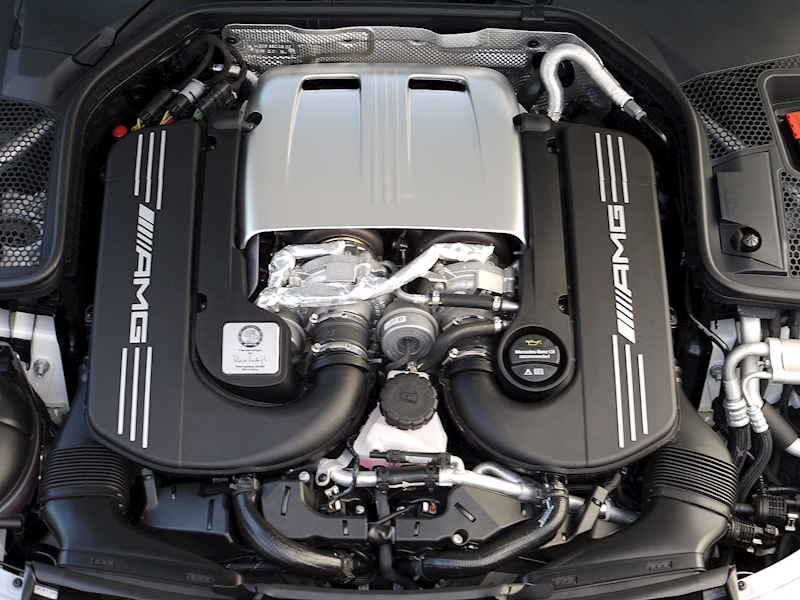 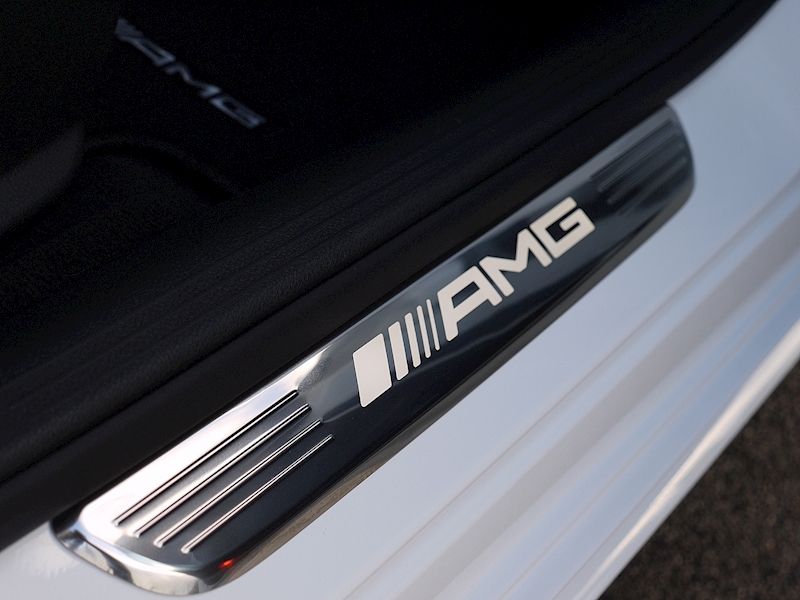 AMG Performance Exhaust System - Selectable. 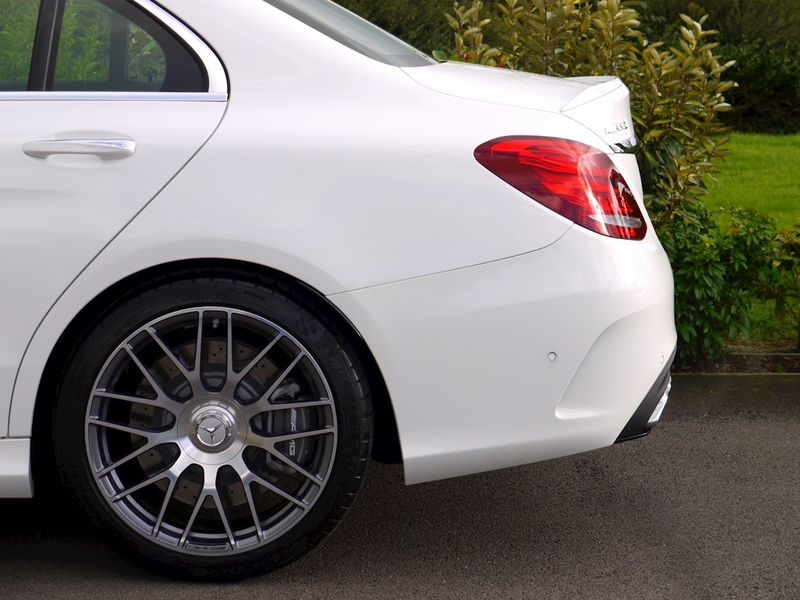 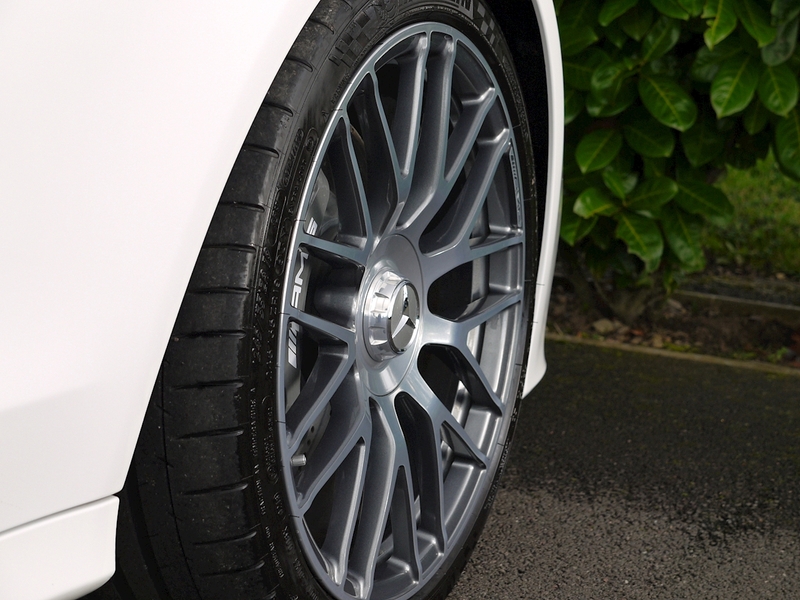 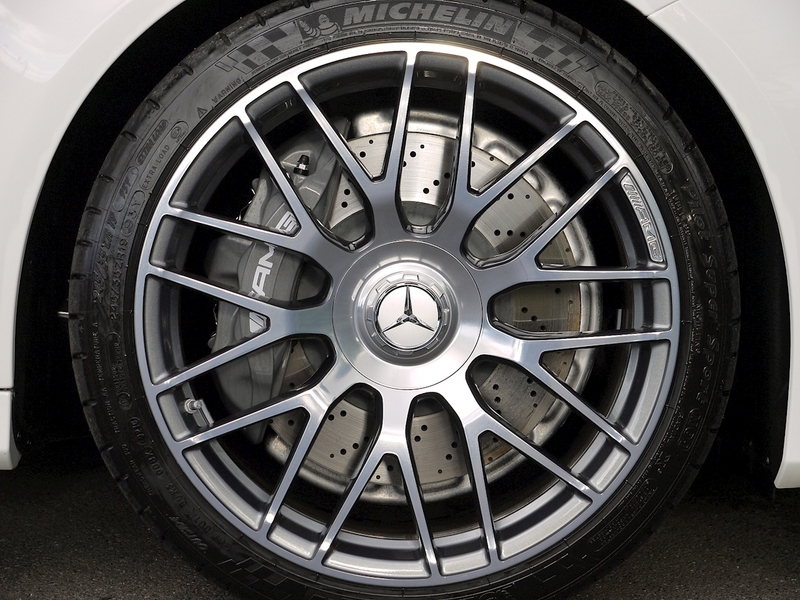 19" Cross-spoke Design AMG Alloy Wheels. 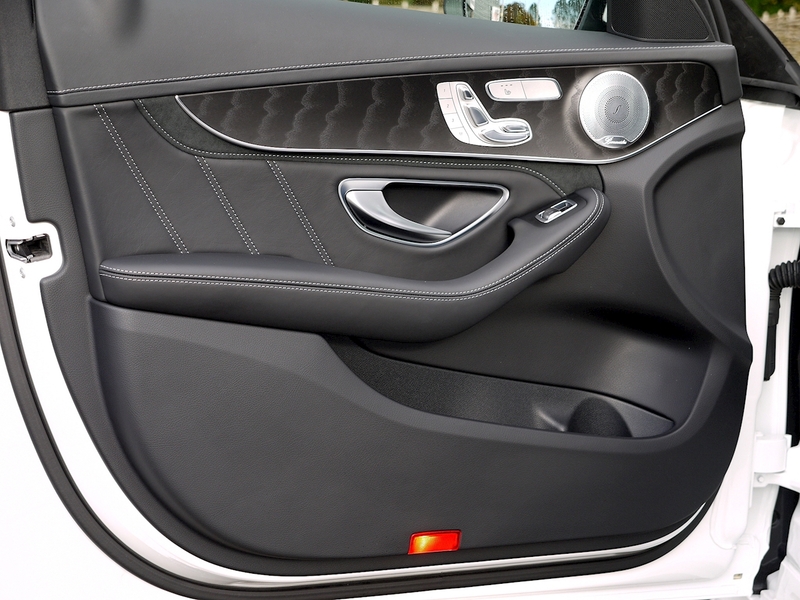 Black Open-pore Ash Wood Trim. 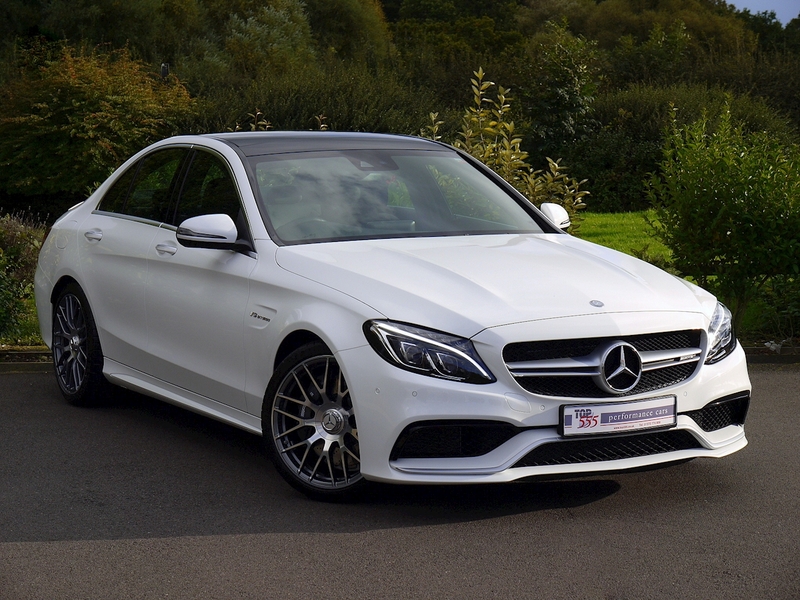 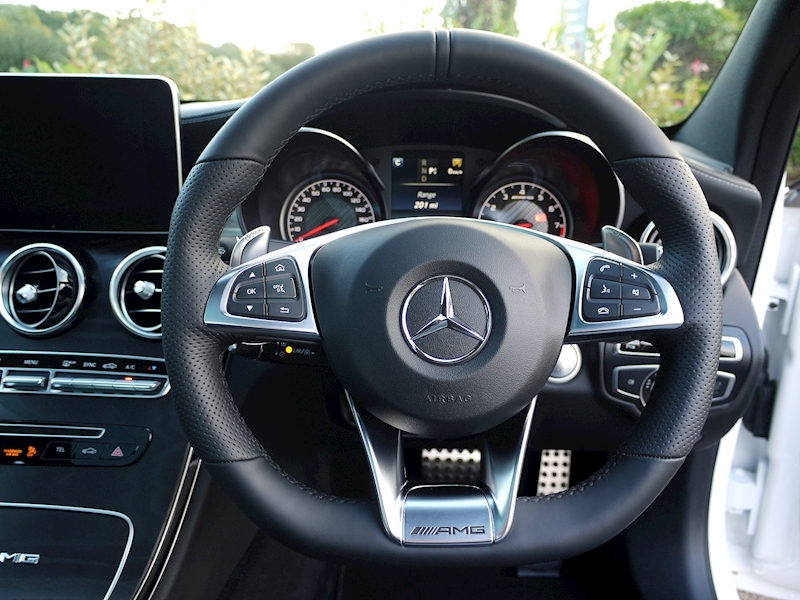 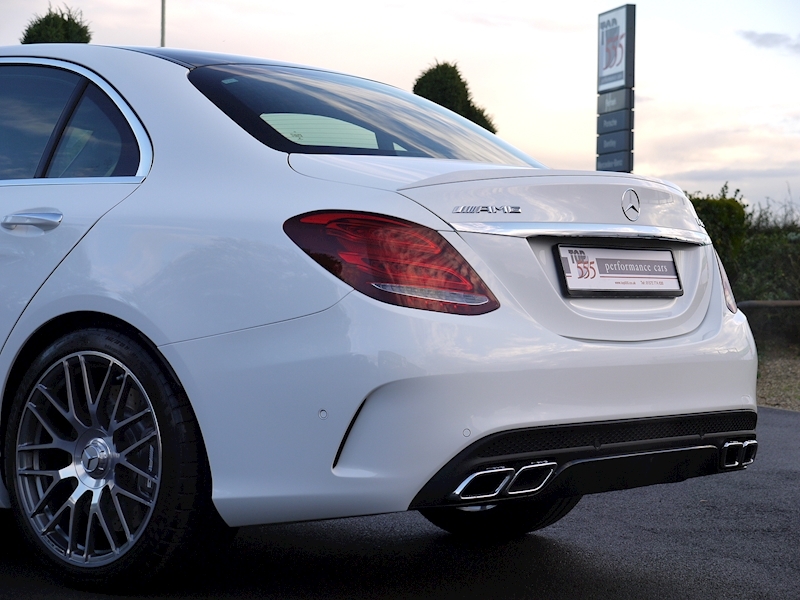 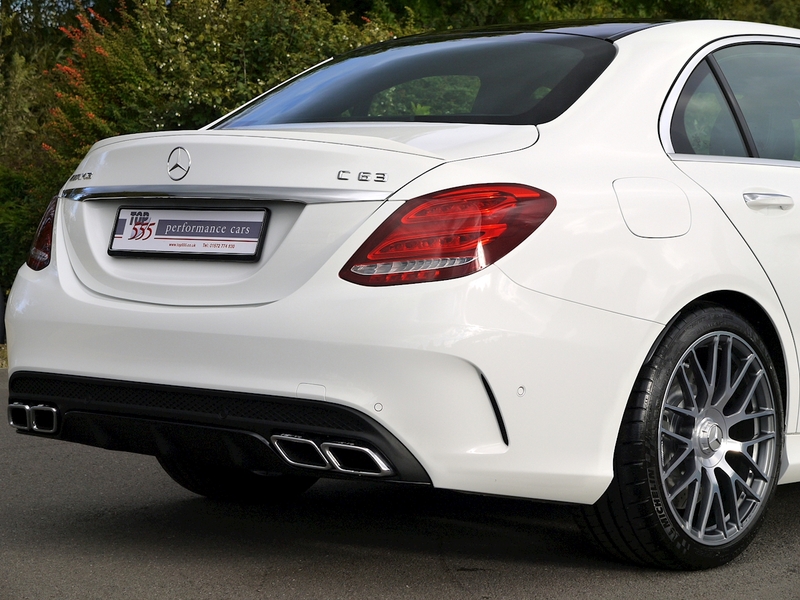 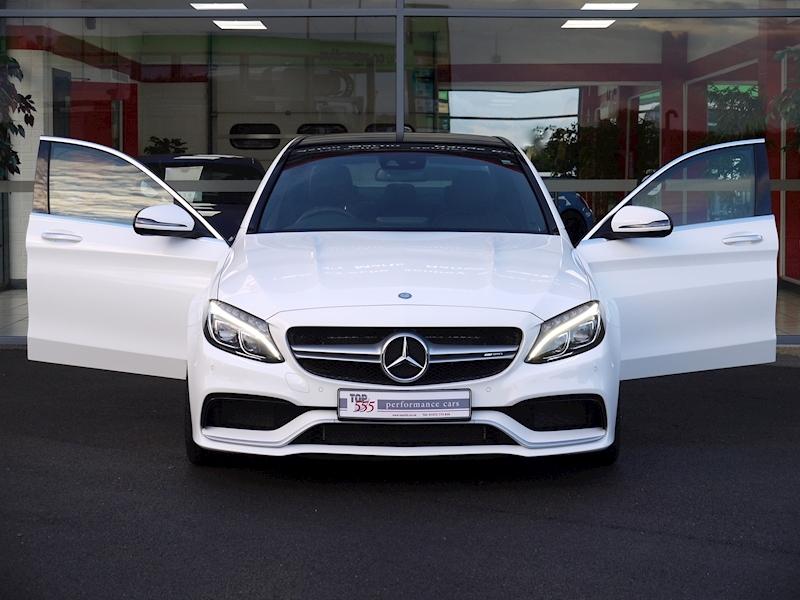 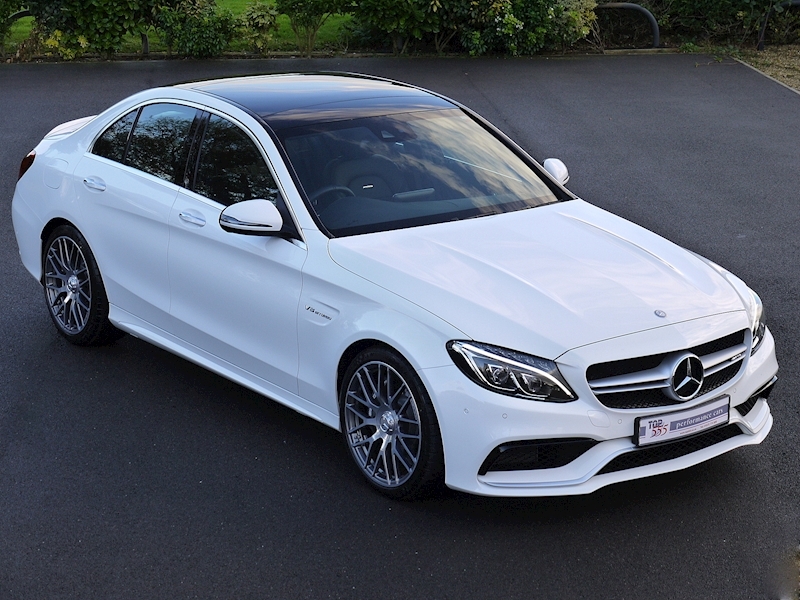 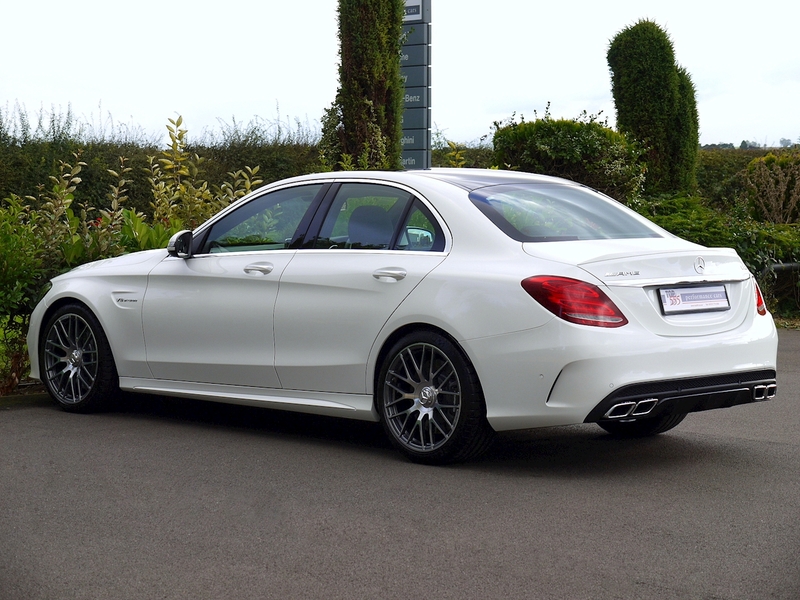 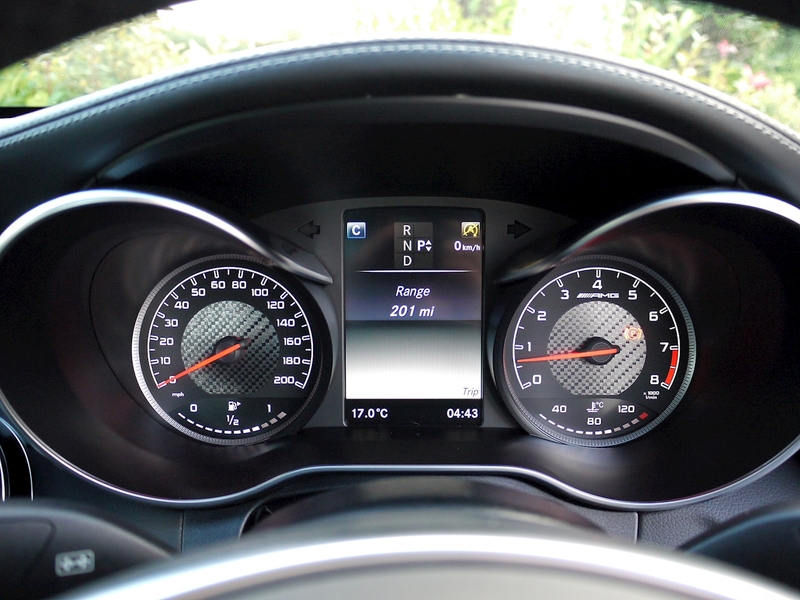 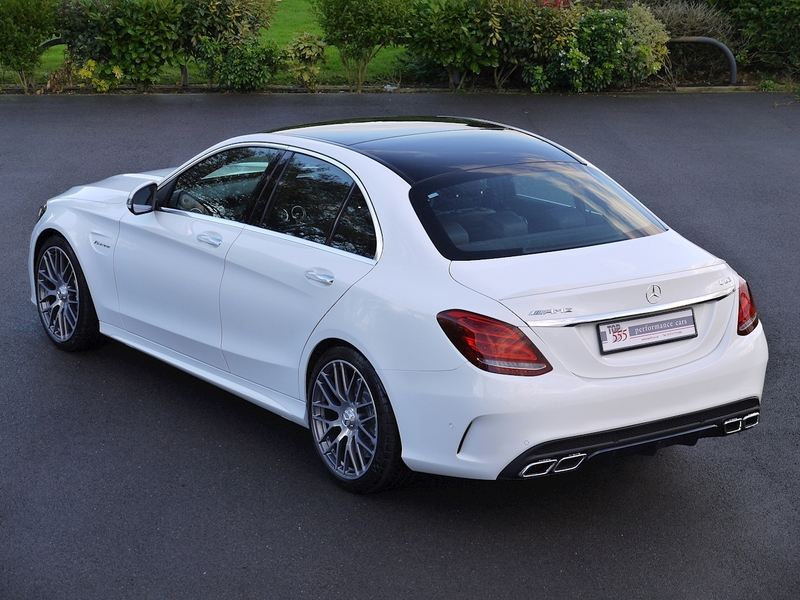 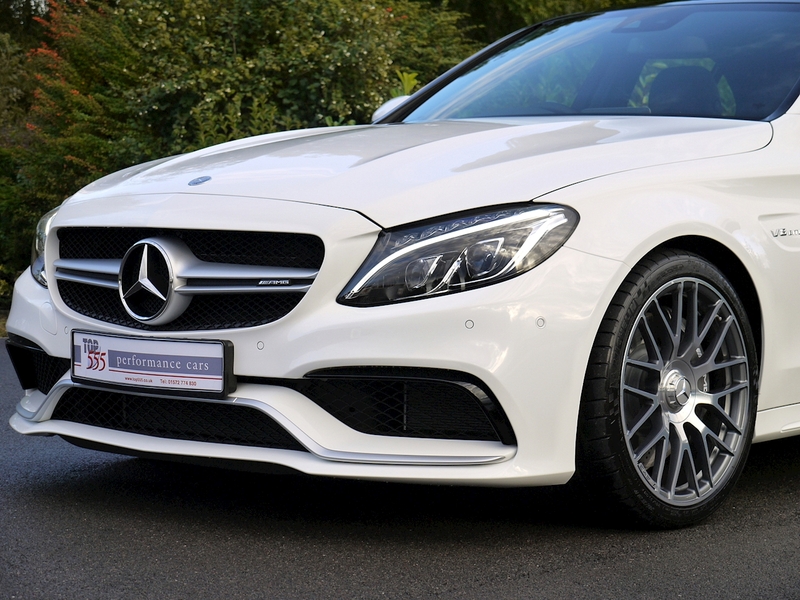 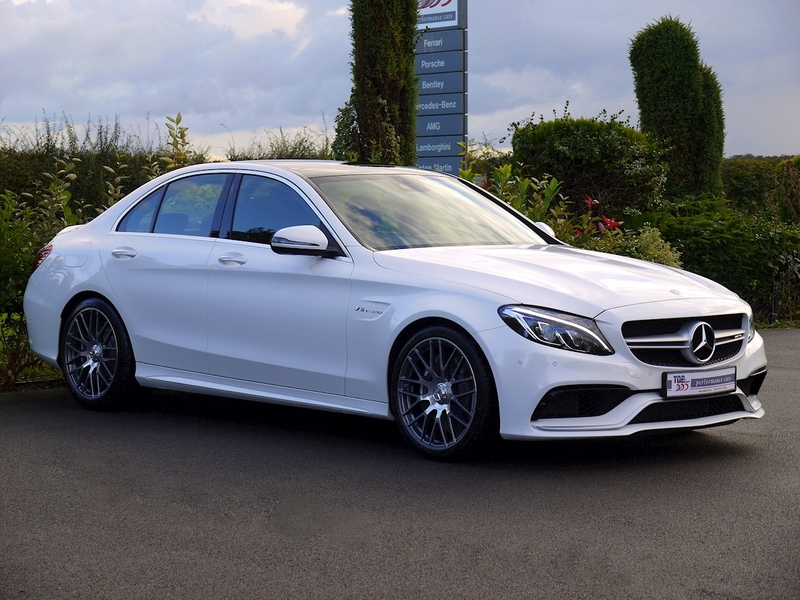 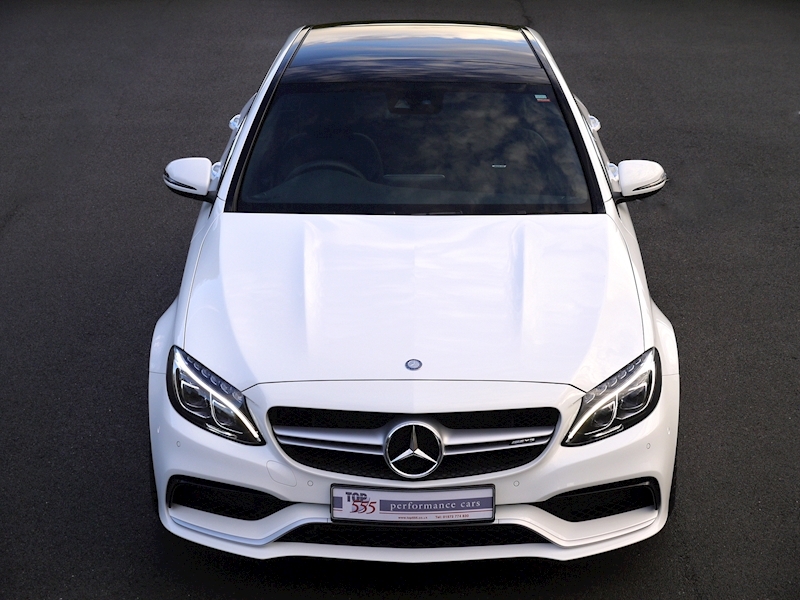 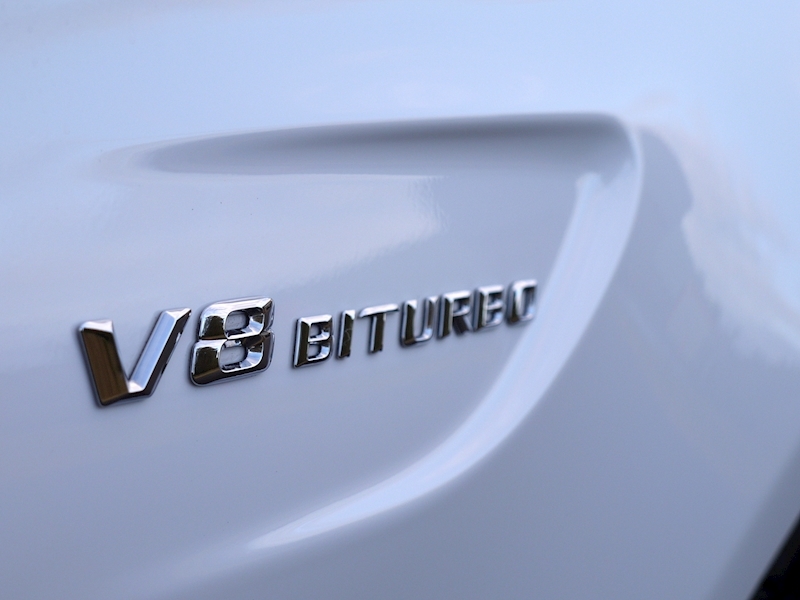 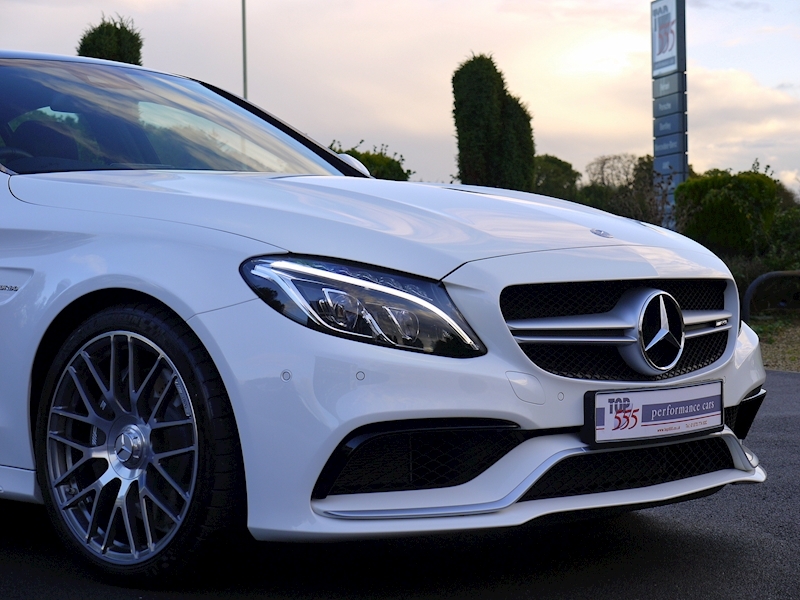 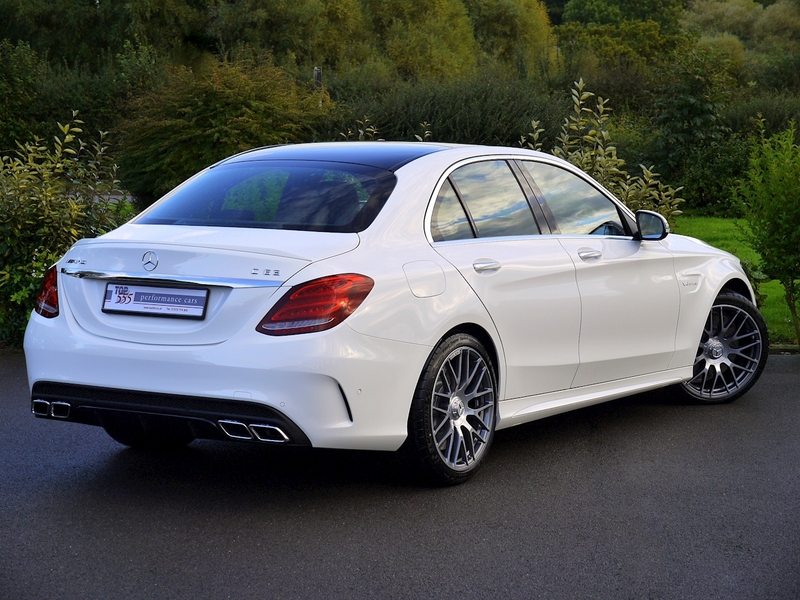 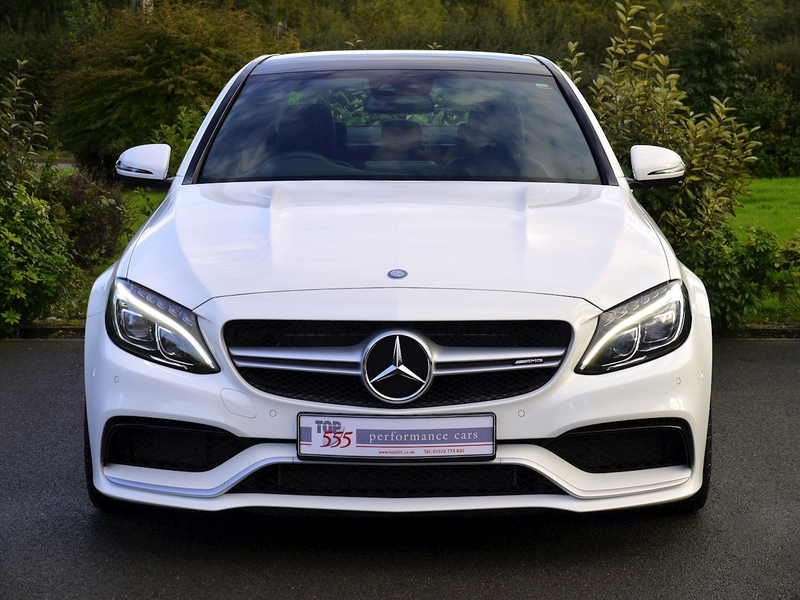 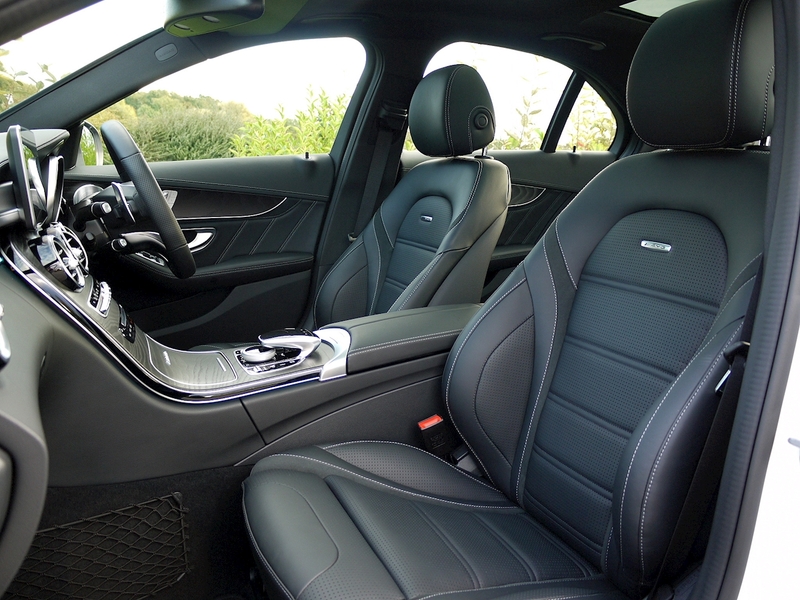 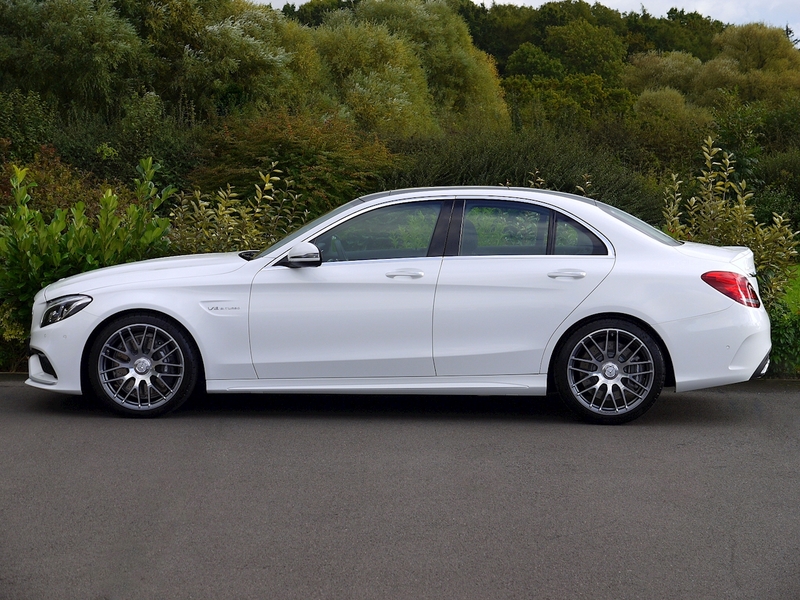 Plus All Standard C63 AMG Specification Including - Parking Package (Reversing Camera and Active Parking Assist with Parktronic), Mirror Package (Auto Dimming Rear View and Drivers Door Mirror, Folding Exterior Mirrors, Ambient Lighting Exterior Mirrors), AMG Illuminated Door Sills, AMG Floor Mats, Rain Sensing Wipers, AMG Rear Axle Limited-slip Differential Lock, Analogue Clock in Dashboard, Collision Prevention Assist and Cruise Control.